Northeast Precast offers more than just products. We offer SOLUTIONS to your precast needs. Our dedicated team of Sales Consultants, Engineers, Fabricators, and Project Managers will shepherd your project from design/development to production to installation. At every step along the way, we will treat your project as if it were ours… because it is. 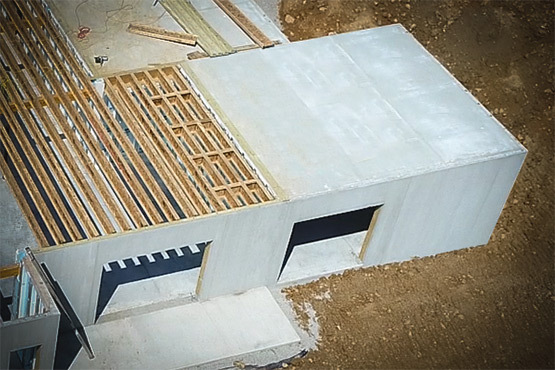 We know that we are offering you not just a product… we are offering you a custom-engineered, custom-fabricated, custom-installed solution to your precast need. 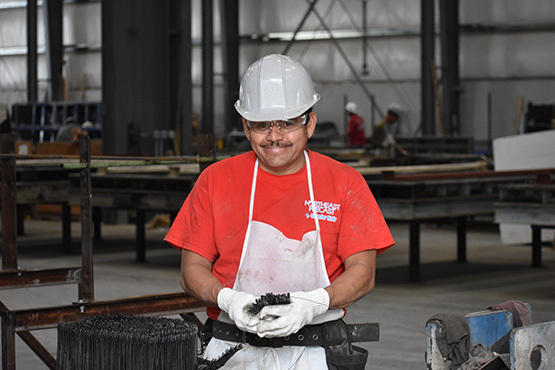 From intricate precast pieces that fit together hand-in-glove the first time and every time, to reveal lines that seamlessly extend from one end of your building to the other, our production standards and attention to detail are summed up in one word: craftsmanship. 1. the quality of something made with great skill. 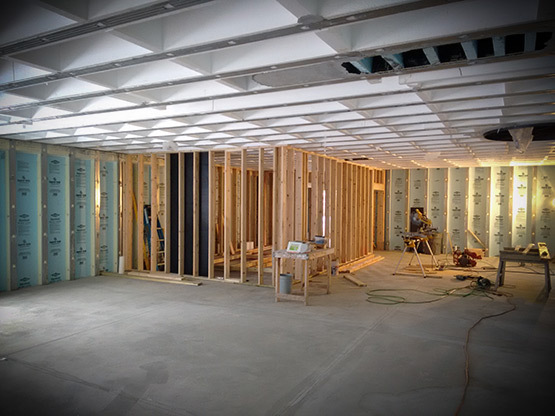 Our team of engineers will work with you through the entire process, from the early planning stages to erection. A successful project is our only goal. 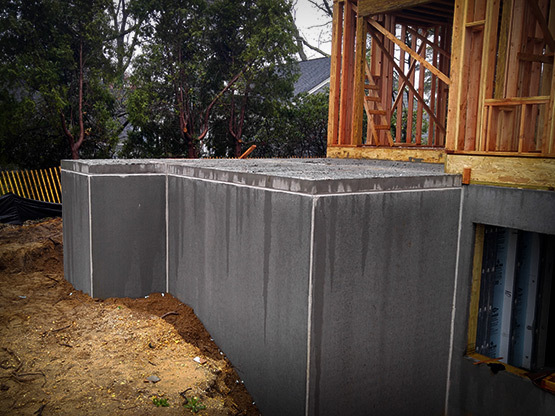 Northeast Precast began as a precast foundation wall company and we still pride ourselves on offering many technical solutions to foundation needs. Bring us your challenge and our engineering team will provide a cost-effective solution. With over 15 years of experience in solving some of the most difficult structural precast challenges, Northeast Precast is uniquely positioned to be a premier parking garage fabricator and erector. We particularly relish the opportunity to work to provide a design-build solution, bringing our technical expertise and structural experience to the fore. Our Chief Engineer has been a leader in the parking garage market for over three decades. 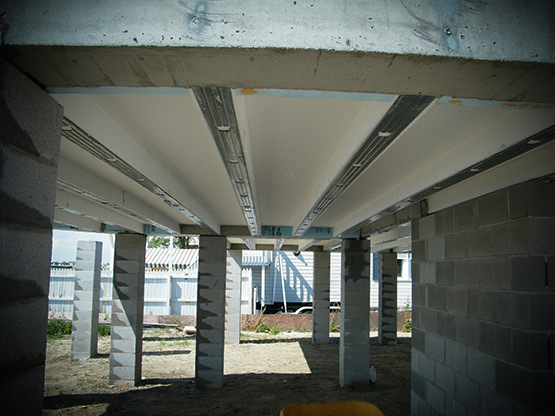 Typical garage components: double tees, spandrels, columns, inverted tees, lite-walls, and stairway and elevator enclosures. Ability to accomplish a myriad of architectural finishes such as thin-set brick, sandblast, color, reveals, and a vast array of formliners. Northeast Precast wants to be your primary source for mutually successful parking garage projects. 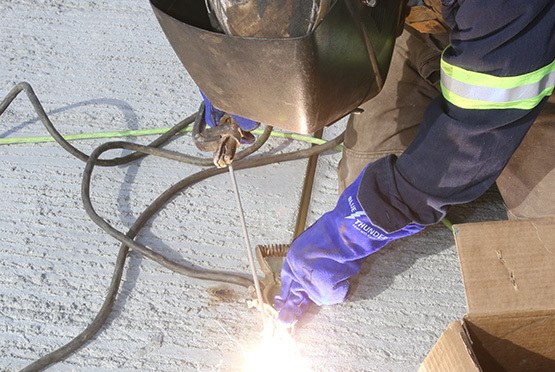 Northeast Precast has been tackling the toughest challenges on highway and bridge projects for over 10 years. We pride ourselves on developing creative solutions, respecting our customers' schedule/delivery requirements, and executing efficiently. It's all about the relationship for us... one that is earned by performing for our customer on each and every job. 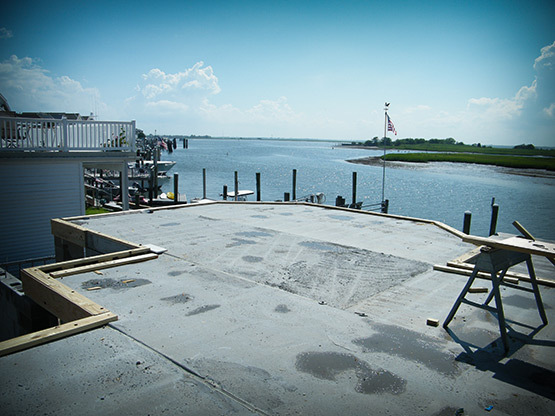 Northeast Precast enjoys the challenges that a myriad of industrial applications present. We tackle each opportunity with creative and efficient solutions. Frankly, if it is precast, we will work on design and fabrication to meet your needs, regardless of how creative the application might be. Whether partnering with an owner to bring forth a solution to a problem or teaming with a GC toward a successful project, we want to be your partner for success. Our clients,our families, our friends. I cannot get over how quick the foundation is being set. 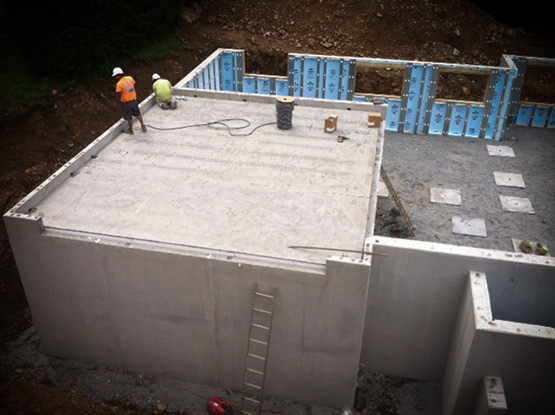 What Northeast Precast did in 2 days took a month and a half for the previous building. Northeast Precast provided a precast solution to a complex design which included fabricating and transporting 85' tall, curved, precast tilt-up elements with an embedded steel liner more than 200 miles. Northeast Precast was able to self-perform all work in-house with professional managers, supervisors and trades-persons. Their work was completed ahead of schedule and on-budget. We look forward to many more projects with Northeast Precast. -Eric Reaman, President – Preload Cryogenics, LLC. Northeast precast is a first class operation, they have supplied us mechanically stabilized earth (MSE) wall systems, parapet, construction barrier, and most recently they designed, fabricated and delivered the 50' tall precast structural concrete wall panels for the New Jersey Turnpike's Central Inventory Building at exit 11 in Woodbridge. They are constantly thinking outside the box of ways to efficiently precast components of a project to increase productivity during construction. We look forward to their continued success and working together in the future. 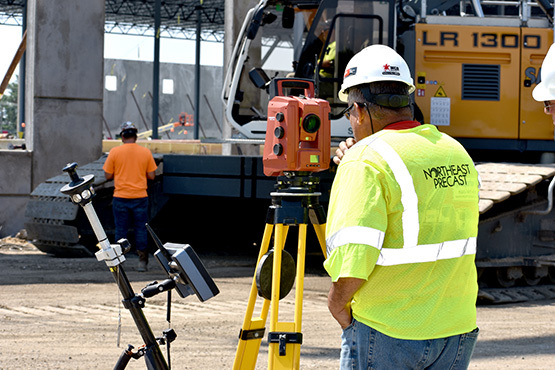 - Jim Duffe, Vice President of Project Management, George Harms Construction Company, Inc.
At Northeast Precast, we are more than just a group of people working together for your common goal. 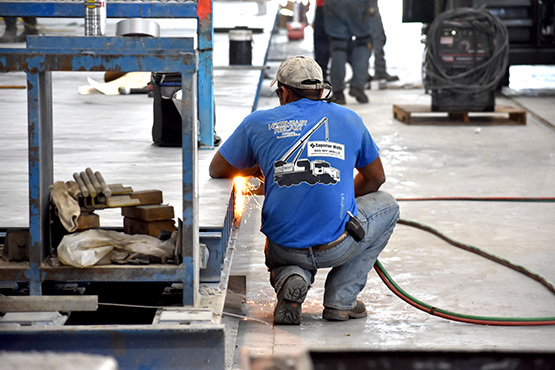 We are a group of people who have an expressed passion for turning your precast vision into reality. For the founders and key personnel in our company, our enthusiasm for precast began at an early age. Together with passionate professionals with decades of experience in areas such as concrete mix design, steel form fabrication, and all-weather installation, we are taking our place with the industry leaders in precast concrete. The integrity and honesty of our people are our most talked about assets. 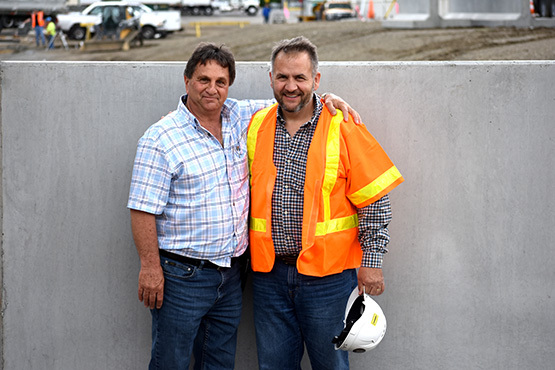 Whether your project is a few dozen feet of retaining wall, or a multi-million dollar and award-winning infrastructure upgrade, we have the expertise, we have the passion, and we have the integrity to be a precast partner you can be proud of.